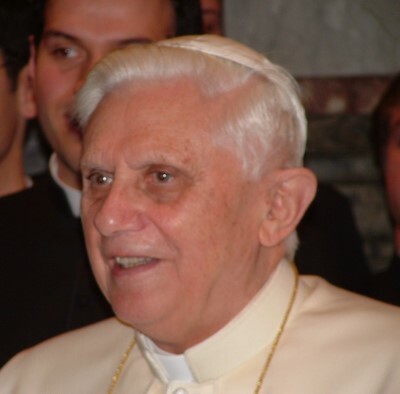 In just a couple of days Pope Benedict XVI departs for the Holy Land in what Vatican Press Director Fr. Federico Lombardi has called the most “awaited” and “binding” of all the Papal trips during this pontificate. Lombardi was also sure to point out that the Papal trip is above all a pilgrimage and not a political event. Indeed, open air Masses, multi-faith gatherings and the Pope’s spiritual encouragement to the Christian minorities in the Middle East will no doubt play a significant role in the trip. However it is hard to imagine the international press not focusing its attention on the ongoing Israeli-Palestinian crisis and interpreting the Pope’s words as either support or opposition to the various factions. These days will require wisdom, foresight, sensitivity and prudence from the Pope as he attempts to bring the hope of the Christian faith and the values of peace and justice to a troubled region. One day in particular stands out as a time when the Pope will have to carefully navigate through treacherous political waters. May 15th is Nakba Day or “day of catastrophe” when Palestinians solemnly mark their defeat in the 1948 war with Israel, the subsequent creation of the state of Israel and their ultimate displacement and dispersal. The day was inaugurated in 1998 by PLO leader Yasser Arafat. Since then Nakba Day has been marked each year by protests which have occasionally turned violent. This year as Palestinians remember their darkest hour, Pope Benedict XVI is scheduled to celebrate an early private Mass in the chapel of the apostolic delegation to Jerusalem, then attend an ecumenical meeting at the Greek Orthodox Patriarchate followed by a visit to the Holy Sepulchre and the Armenian patriarchal church of St. James in Jerusalem. Let us hope and pray that on this day and throughout his trip to Jordan and Israel the Holy Father will be guided by wisdom and prudence as he confronts a legacy of bitterness, anger and hatred and attempts to inspire forgiveness, hope and love.